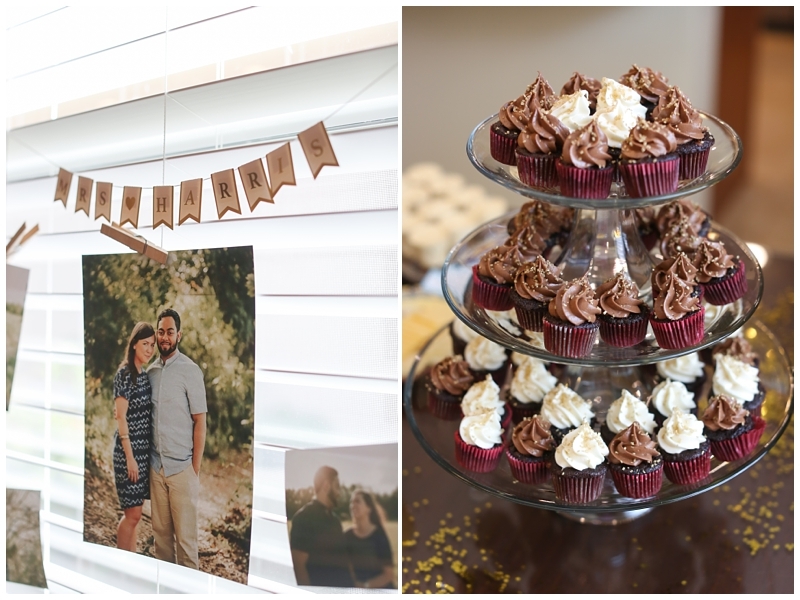 A few weeks ago, I had the honor of helping host a Bridal Shower for our younger sister, Emily. 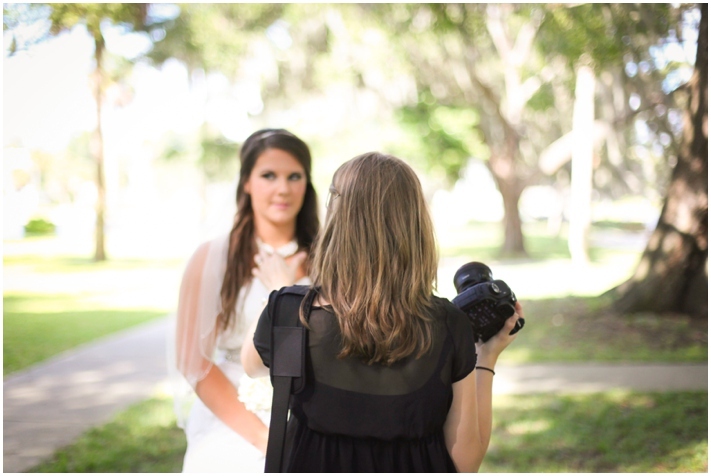 That pretty lady in white will be a gorgeous Bride in December at an awesome venue – the Doe Lake Campground in Ocala. She’ll walk down the foresty aisle to her groom, Charles. 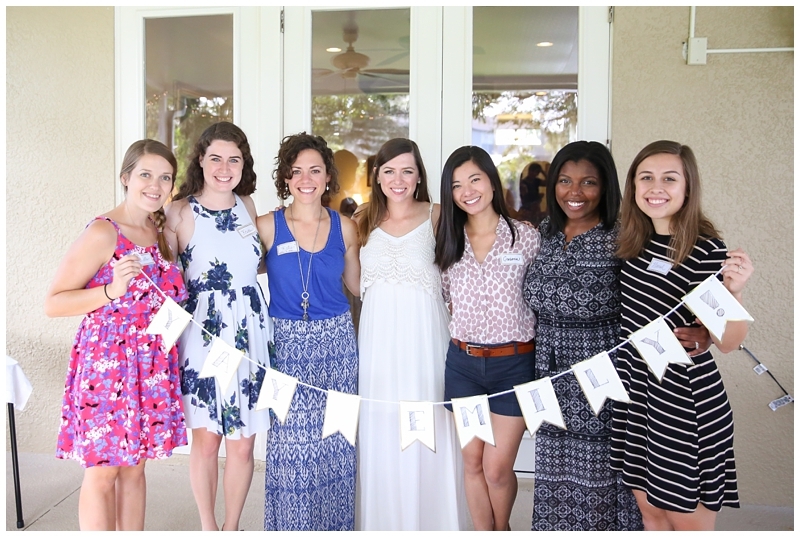 Our family friend, Carol, hosted the shower in her beautiful home and we snacked on delicious homemade treats and had lots of girl talk. We had a big mason jar of Hershey’s Kisses and guessed how many kisses were in the jar. I’ll post the answer at the bottom! We played a “Who said it?” game where the guests had to guess if either Charles or Emily gave the response by using a blue or pink balloon. Then, Emily played the game by guessing Charles’s response to a few questions, like who is the better driver and who is the better cook? It was so fun! Then, Emily got to open up her gifts that will bless their first home as a married couple. We ended the shower with some bridal party and family pictures outside. 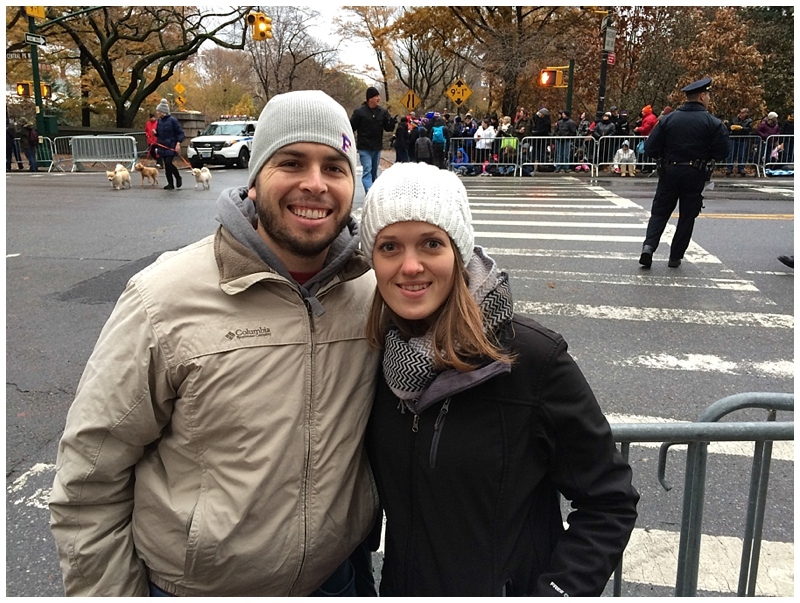 Emily, I love getting to be part of this exciting time in your life. We are so so happy for you and Charles!! Can’t wait for December!! 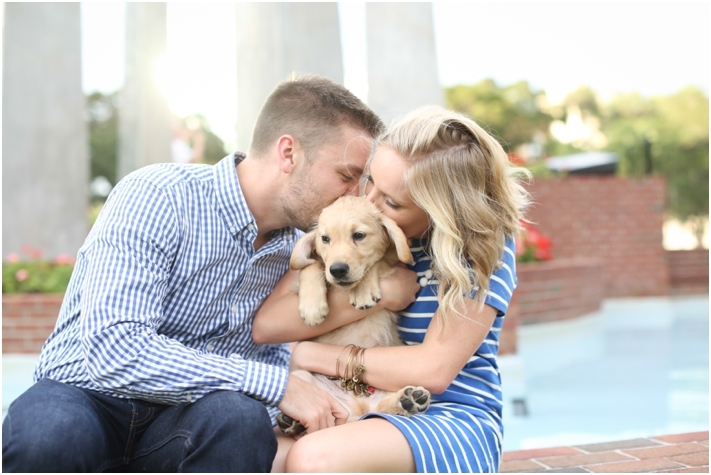 Do you remember Mike and Katy’s session with their new adorable puppy, Cooper? We got to explore the University of Tampa with their energetic, happy-as-can-be golden retriever puppy. Well, lucky me… I got to do it again!! 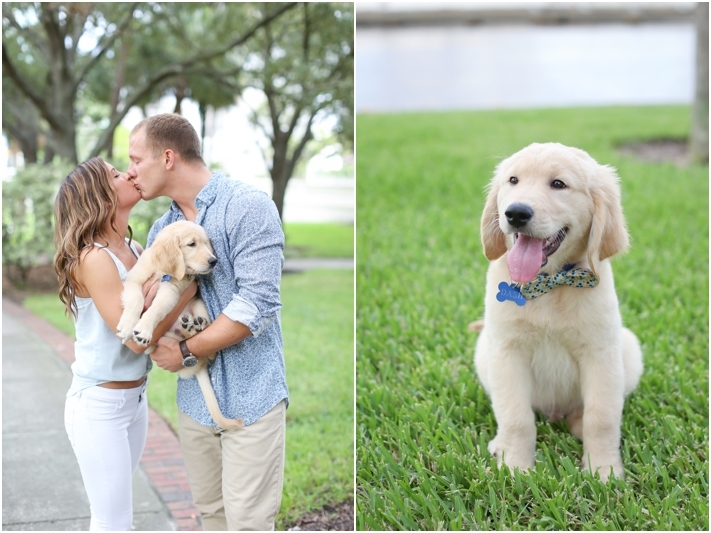 This time, I met newlyweds Paige and Aaron and their puppy Dash! These two have been married a little over two months and they are adjusting to their new married life as puppy parents! Dash is not only adored by Paige and Aaron but by all of their friends and family, too. This was such a fun session. I’m hoping I can do more of these puppy sessions in the future! Get ready to meet the most adorable little golden retriever puppy! 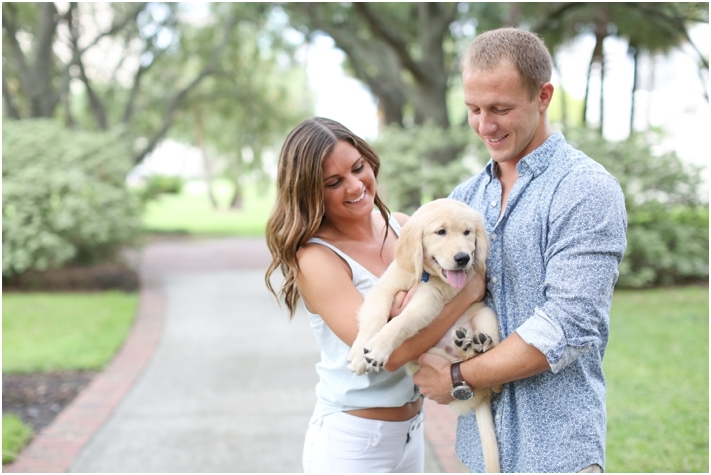 Katy and Mike recently got their new furry friend, Cooper, a few weeks ago and asked if we could photograph this special time in their life. OF COURSE! A beautiful couple, a glowing sunset, and a brand new perfect puppy… yes please!! We met at the UT Henry B. Plant Museum for the session and then walked over to the Oxford Exchange for that wonderful white wall. Then, all five of us (4 humans and 1 pup) went to Hyde Park for dinner at Bar Taco and let me say, Cooper was the talk of the restaurant! Everyone wanted to cuddle this cutie! 2013 has been the best year for our photography business. 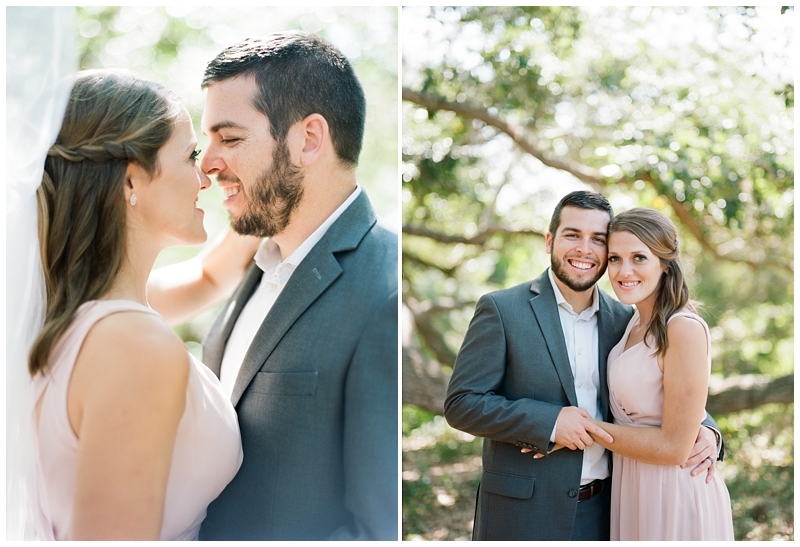 We got to shoot beautiful weddings all over Central and South Florida. We met so many wonderful people and got to experience such intimate and lovely ceremonies. Thank you to our 2013 clients. Thank you for allowing us into your most special moments and trusting us to provide beautiful images. We are so excited for what 2014 will bring! Before we dig into the excitement of the new year, I wanted to reflect back on 2013 and share some behind the scenes photos of Michelle Stoker Photography. I think you’ll enjoy them. 😉 Here’s a look back at David and I working in 2013…. I always make sure that hair is in place!